Reward an breathtaking performance with the Car Race Resin Award Plaque. 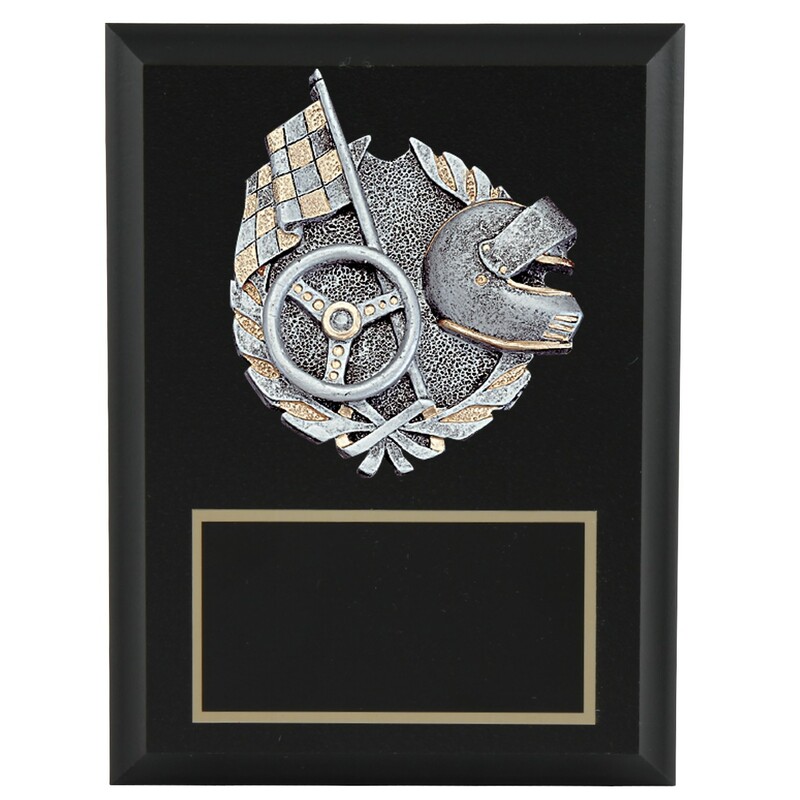 This car race resin plaque is perfect for any team or individual accomplishment. The 6"x 8" racing award depicts racing flags, helmet and steering wheel. This is also a great award for pinewood derby winners or Fantasy Racing champs!